Every year it seems “losing weight” is right at the top of the list of the most popular New Year’s Resolutions. But sadly, by February most of these people will have given up on their goal and reverted to their old ways, only to resolve the following year to lose the weight once again. This year, I’d like to suggest you make keeping off any weight you lose in 2011 your resolution. I like that resolution better than to “lose weight” because losing the weight is only part of the battle—keeping the weight off is really the way to make the resolution mean something. Think of it this way: Even if you only lose 5 pounds in 2011 and keep it off, it’s better than losing 20 but gaining them all back. And chances are good that once you lose five pounds and keep them off, you’ll keep going. 1. Take it in small steps: If you have a significant amount of weight to lose, it can seem overwhelming to get from where you are to where you want to be. And because it will take some time, it’s easy to get discouraged and give up if reaching the goal seems too far away. That’s why I recommend that you break the big goal up into smaller goals that are achievable in days or weeks, not months. Then be sure to celebrate your achievements along the way to keep your motivation level high. 2. Think of obesity as a chronic, not acute, issue: Far too many people seem to think of weight loss as a destination, rather than as an ongoing journey. This can lead to people abandoning the lifestyle and behavioral changes they have made to lose the weight, just when they need to stick with them the most to keep it off. This only leads to the lost weight (or more) returning as soon as they return to their old habits. That’s why at The Center for Medical Weight Loss we continue to check in with our patients long after they reach their weight loss goals and encourage them to weigh in on a regular basis, to make sure the weight doesn’t return. 3. Avoid gimmicks: It’s no coincidence that every year a whole new line of “easy” weight loss pills, potions, gadgets, and diet plans come out on January 1 just as people are resolving to lose weight. Don’t get taken. Losing weight isn’t impossible, but it isn’t easy either. So don’t be fooled by these plans to make little more than your wallet lighter! Remember, if a product claims that you need to do “nothing” to lose the weight, it will do exactly that—nothing. 4. Forget quick fixes: It sure would be great if you could lose all the weight you wanted in a very short time, but quick fixes rarely lead to long-term success. So don’t fall for plans that promise “fast results” but could put your health in danger. It took time to gain the weight and it will take time to lose it. Don’t look to some plan where you lose the weight by eliminating whole food groups or eating the same thing over and over as the answer. Chances are very good it won’t be. 5. Have a “Big Picture” plan: Losing weight and keeping it off isn’t a one-size-fits-all solution. It requires a multi-pronged plan of attack to make weight loss a reality. Exercising, eating right, changing old habits, learning new ones, or reaching out for support alone won’t do it, but put them all together and they can work wonders! Bottom line: You can reach your weight loss goals in 2011 and, even better, you can ring in 2012 (and 2013 and beyond) without those extra pounds coming back! 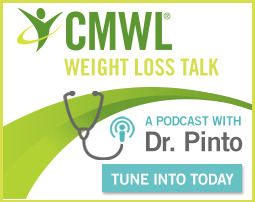 Let The Center for Medical Weight Loss show you how to tackle your weight problem once and for all and live the fullest, healthiest life possible.